About 5 years ago I received a diagnosis of “IBS.” Or what I call “the go to diagnosis when we can’t figure out what is going on in your GI tract.” I was tested for celiac- negative, tested for nutrient deficiencies- negative, and lastly tested for acid reflux- negative. Ughhhhh was all that I could proclaim when I KNEW that something else was going on inside this body of mine. At first, I was pretty liberal with what I ate, except dairy, relishing the moments when I could carry out my daily activities of living and dreading the agonizing pain that would consume my entire digestive tract from time to time. However, only recently has this pain become an overwhelming indomitable agitator, that appears at least 1-2 times a week, leading me to remain bed ridden during its most awful attacks, or incapable of food consumption during its less ferocious days. In all honesty I live with pain on a day to day basis but have kind of gotten to the point where I am able to ignore it, living life with slight uncomfortableness and a bottle of tums on hand at all times. I think the most aggravating thing is forcing yourself to eat when you’re never hungry or dreading eating because of the fear of pain. Since IBS and digestive problems can be due to a number of things, I just figured there was no solution and that I would never figure out what was causing my tummy issues. That is until I found out about SIBO. That’s right..a little known thing that your GI docs fail to get you tested for..small intestinal bacterial overgrowth. It wasn’t until working with a GI RD specialist that I really looked into this further. IBS and SIBO have practically the same exact symptoms, which is why it can be hard to decipher the two. 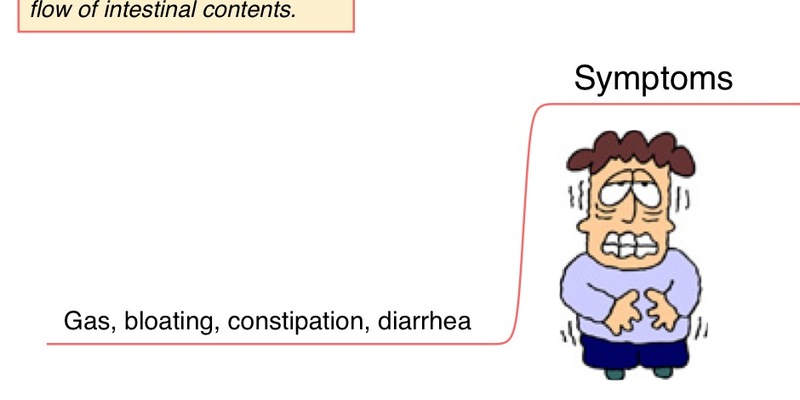 Now, you are probably wondering what the heck SIBO is so let me fill you in. SIBO is a result of excessive bacteria in the small intestine and is reported to occur in 80% of those with IBS! It can also occur in those with disorders of the immune system, celiac disease, as well as acid reflux, amongst a host of other causes. It is confirmed using a hydrogen breath test as excess bacteria=excess gas production. Oftentimes the hydrogen test tests for malabsorption of carbohydrates as these lead to bacterial overgrowth when not digested properly. So, this thursday I will be undergoing a SIBO test specifically for lactose and fructose malabsorption.If I am diagnosed with fructose malabsorption, one of the many possible causes of my IBS, I will need to follow a FODMAPs diet, which means a group of short-chain fermentable carbohydrates that essentially lead to bacterial growth in the gut. The downside,FODMAPs are often found in plant-based foods, including vegetables, fruits, grains and legumes, some of the healthiest foods out there! but gas produced cannot escape leading to immense pain. Because foods such asparagus, honey, and watermelon all irritate my gut and are all high in fructose (they have a much higher fructose to glucose ratio), I am being tested for fructose malabsorption. What does this mean? Well, fructose is a monosaccharide and if I have fructose malabsorption, I basically don’t have enough of the Glut5 transporters needed help me absorb fructose. A low FODMAP’S diet can help to reduce these high fructose foods from my diet hence alleviating my pain. I’ll let you know how Thursday goes! Anyone out there also suffering from digestive issues and getting fed up?